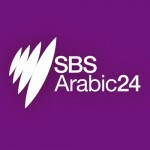 On 7 March 2016, SBS will launch SBS Arabic24, a 24/7 digital radio channel and online hub delivering the latest Australian and international news, information and analysis to Arabic-speaking Australians. SBS Managing Director Michael Ebeid said: “SBS Arabic24 delivers on our commitment to provide balanced and impartial news and information to Australia’s Arabic speaking community, in order to help involve and engage them in society and as such deliver on SBS’s purpose to promote social cohesion within Australia. SBS Arabic24 is a 12 month trial and will be reviewed in 2017. The 24 hour service will feature Australian and international programs including the locally produced and hosted Breakfast and Drive programs and music from the existing SBS PopAraby service, and content from the BBC World Service’s highly respected BBC Arabic service. SBS Arabic24 will launch at 6am on 7 March 2016 on digital radio (DAB+), the SBS Radio App and online at sbs.com.au/arabic24.